Managers - Oakwood Construction & Restoration Services, Inc.Oakwood Construction & Restoration Services, Inc. In 1988, Todd Benson joined forces with his father in the same place that so many American success stories began: in his dad's garage. Now, over 28 years later, he has moved out of that humble garage in San Dimas, California and continues to build his father's dream as President and Legal Counsel of Oakwood Construction and Restoration. Todd not only grew up in the family business of construction, for the past 30 years he has earned a reputation as one of the industry's true leaders. He also worked for several years as an insurance adjuster which has proven helpful throughout his career. Mr. Benson is a graduate of California State University, Fullerton, holds his Juris Doctorate from Western State Law School and has been a member of the state bar since 1997. Todd sits on several Advisory Boards, is frequently asked to provide expert witness testimonials and handle appraisals for both commercial and residential losses. With over 26 years of experience and a strong management background, Jyl Benson Soriano is often the "go to" person for her industry peers when they have problem they can't solve. She is the Director of Oakwood's entire Contents Division and serves as the Lead Contents Estimator, a vital role that asks her to constantly balance the interests of her company with the needs (and budgets) of her valued customers. Jyl also trains all of Oakwood's Staff and does additional Contents handling consultant work. Her years of experience and daily "hands on" work make her the ideal person for each of these roles. As Vice President of Oakwood, Jyl also works closely with Oakwood's Business Development team, providing expert advice and strategic input on a variety of business activities. She also sincerely believes in the importance of taking care and motivating each of her employees. Jyl maintains current certifications for Fire/Smoke Restoration and Odor Control, and has a business degree from California State University, Fullerton. Jyl is a resident of Fullerton and pursues her love of travel, fine art and photography in her free time. As Construction Manager for Oakwood, Jose Juarez oversees projects of varying size and scope. To do this successfully he relies upon his lifetime of construction experience and over 10 years working in the insurance restoration field. Jose manages the production of all new jobs requiring construction work and oversees the estimators on each of those jobs to ensure all pricing is fair and appropriate. During this process Jose also performs quality assurance duties doing frequent "spot checks" to ensure that all workmanship meets his approval. During his tenure at Oakwood, Jose has developed expert level construction practices and problem solving skills which actually serves to benefit Oakwood and their clients with efficiency and cost savings. With the safety of his workers constantly on his mind, Jose routinely mandates regular safety training sessions as required or recommended by the Occupational Health & Safety Administration. Jose is a consummate professional bringing passion to all of his efforts and loyalty to all of his business relationships. He is a proud father and husband, an ex-professional boxer and avid sports fan and travels as much as his busy work schedule will allow. Tom Thomas began his journey to becoming our Northern California Branch Manager at the ripe old age of 21. He steadily worked his way up through the ranks from a technician, then a Water Damage Crew Chief on residential and commercial properties, enduring five Minnesota Winter’s as a Manager for another Restoration Company and then returned to Southern California with Oakwood. He was then tapped to relocate and take the reins of our Northern California Branch. 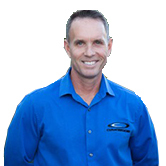 Tom’s more than 24 years of experience in the Insurance Restoration Industry makes him an asset. With Tom’s commitment to educate and broaden his knowledge base in the industry and track current trends, our Northern California Branch is in an unique position to grow the Oakwood brand. As Branch Manager, Tom oversees his employees with integrity and professionalism. He practices an open door policy and often stops what he is doing to make time for homeowners, adjusters and his employees questions and concerns. His 15 years of construction knowledge are put into good applicable use as he still estimates our large residential and commercial losses. Tom’s experience assists with our detail and accuracy in our Job Scopes. Commitment to his staff and customers is Tom’s greatest strength when it comes to managing the Northern California Branch and our jobs. He strives to provide excellent communication to all, provides clear and concise instruction. The Northern California Branch with Tom Thomas at the helm provides nothing but satisfaction and excellent service.